The INTELLIVENT system from S&P is an energy efficient, balanced whole house ventilation solution in compliance with ASHRAE 62.2. 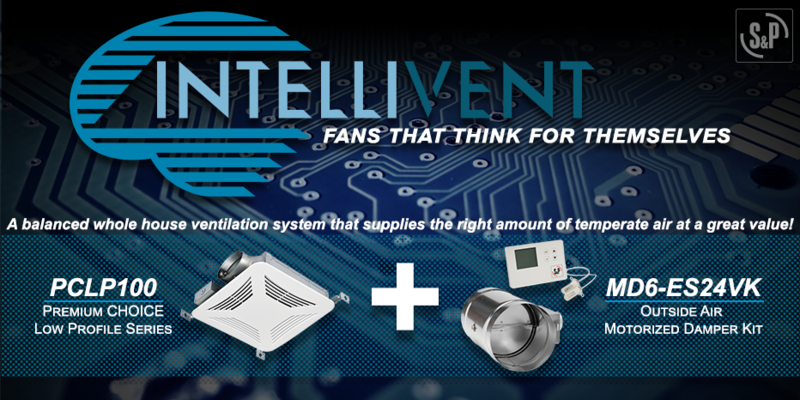 Intellivent combines a low profile bathroom exhaust fan, outside air motorized damper kit, and relay into one quick solution that will improve the Indoor Air Quality of your home or business. 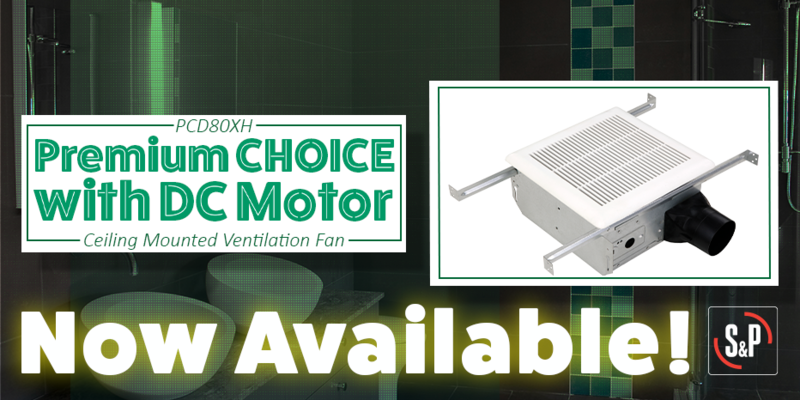 S&P is proud to announce that the new Premium CHOICE model which features the most efficient DC motor is now available. This unit uses the most energy-efficient motor to improve indoor air quality by exhausting contaminants and excess moisture that can cause health issues, mold growth, and structural damage over an extended period. For more information about this product and its accessories visit our Premium CHOICE website or download the files below. With today's buildings being tighter and more energy efficient, S&P has worked extensively to develop new outside air solutions. This informational video helps you understand Outside Air Solutions and the S&P products that would most effectively improve your Indoor Air Quality.